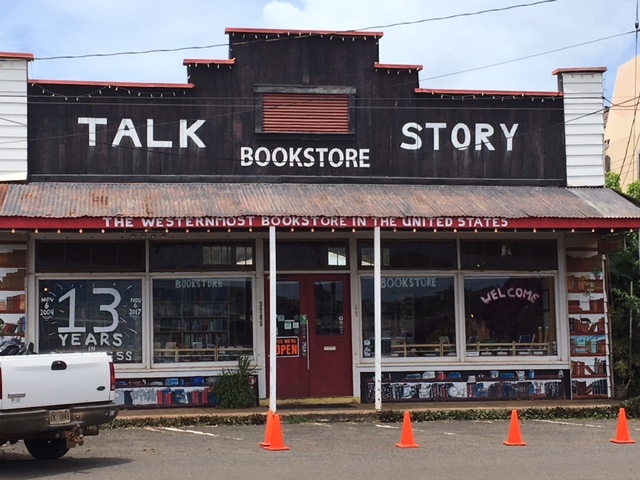 Located somewhere near the middle of historic Hanapepe town, coming from either direction, is the westernmost bookstore in the United States: Talk Story Bookstore. Any time we’re in Hanapepe, Talk Story is a must-stop location. The bookstore opened in November 2004. 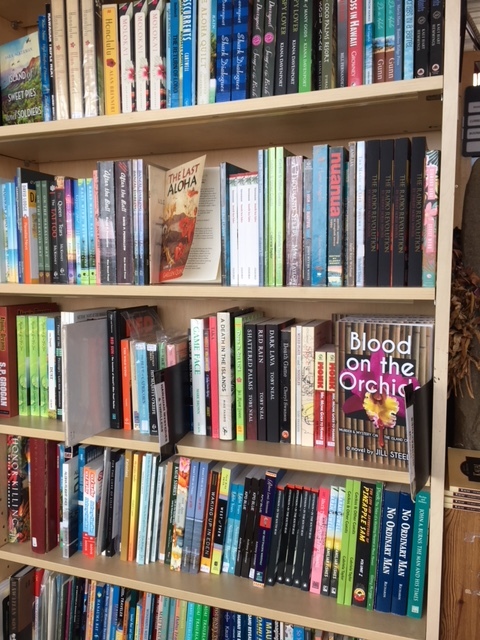 Now in business for 13 years, Talk Story Bookstore is a book-lovers dream, an old-fashioned store with something for everyone, including the latest bestsellers and beach reads, cookbooks, travel guides, books for kids, and Hawaiiana among other offerings. The store also stocks over 3,000 used, out-of-print or rare books, and also carry vintage and Hawaiian vinyl records, vintage comics, vintage sheet music and songbooks, and ukulele and Hawaiian slack-key guitar lesson courses. The Talk Story Bookstore is owned by Ed and Cynthia Justus. They came to Kaua’i on their honeymoon in 2002 and never left the island. 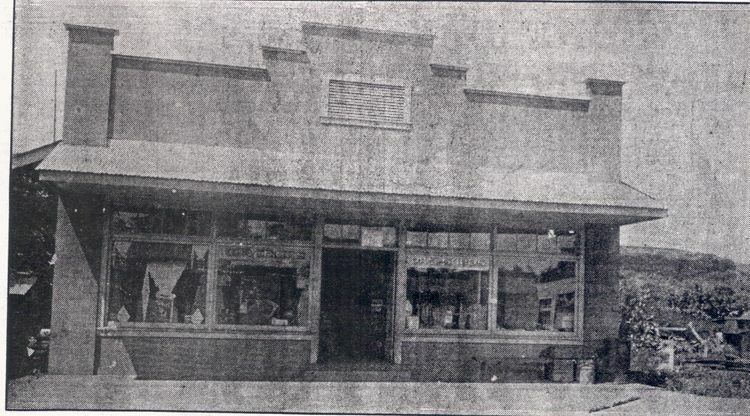 One day they were offered the space in Hanapepe, the Yoshiura building, which had previously held a long-time food and clothing store. The offer came with one month of rent free to test a new business so they agreed to the deal and opened with their eBay inventory, which just happened to contain used books. The Justuses had never intended to open a bookstore, but made enough during the free month to either pay next month’s rent on the store or the house where they lived. They chose the store, and moved into their van while they built up their business. 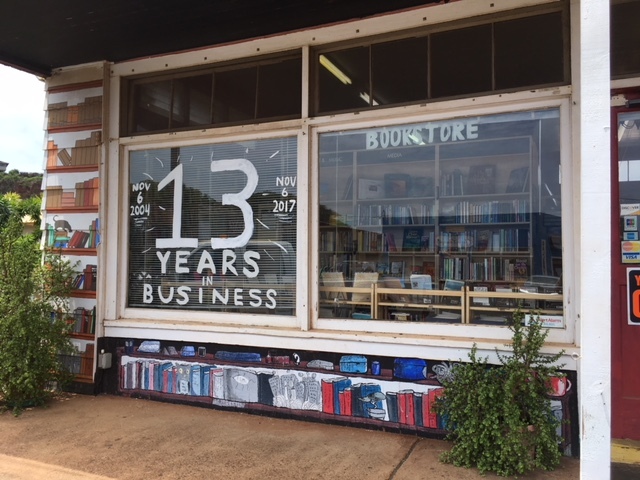 Thirteen years later Talk Story Bookstore is a Kaua’i institution, and a destination for visitors from all over the world. 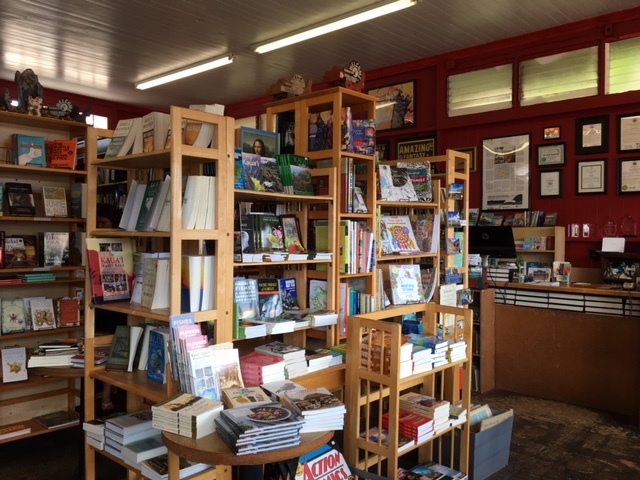 Located on the west side of the island, historic Hanapepe town is a must-stop if you are visiting Kaua’i, and Talk Story Bookstore a must-visit while you’re there. The store welcomes visitors, and invites them to come in and browse for a while. The store also accept old books with store credit given in return, and they will also ship books back to the mainland if there’s no room in your suitcase! I love book shops, I have to walk away from purchasing any more cookery books which I read like novels. I have always loved bookstores too, and in the past could always find something to spend my last few dollars on. Talk Store Bookstore has a wonderful cookbook section – I was browsing in it just the other day! I stopped by there on my last day on Kauai – it’s a gem! It is a gem! I loved learning the backstory of how the store was started. And, it’s a perfect fit for Hanapepe, and well worth the drive out there. Natalie: Very weird, because I can no longer comment on Blogger sites unless I use my Google account (which I don’t/won’t because it links to my personal email)! I’m thought it was Blogger, but something bigger must be going on! I’m going to check all my settings . . . . I am now having this same experience and had to create a WordPress account to comment. Also, it links to my Google ID pic. Strange. There seems to be something going on between Blogger/Google and WordPress right now. I still can’t comment on Blogger sites – frustrating! I tried to visit this store, but they were closed by the time I got there. That was my last day on Kauai so it was disappointing, but it’s on my list of places to visit whenever I get there again, which will probably be next year. It’s so rare to see independent bookstores these days, but Talk Story is Kauai’s Powell’s, lol! It’s sort of amazing the amount of books they carry, and in such a small space. And you’re right, it does have that Powell’s feel, albeit on a much, much smaller scale. What a great story! I just love bookstores, and especially local independents. They’re usually so well curated and really reflect their location. We found a really lovely small one in Bayfield, Wisconsin, that I still remember and would visit again tomorrow if I could. We have a great one in our city, but like a lot of stores, they’ve been challenged by Amazon and the local Barnes & Noble. Luckily, they’re clever entrepreneurs and have a great little cafe, an amazing gift section, a clever toy section, and also buy and sell used books. We love our indy! This little bookstore is very special, and people here love it (visitors too). The backstory was interesting to learn about as well, and made me love the store just a little bit more! Yesterday was “Independent Bookstore Day” – it’s been sad to see so many go under (and I’m partly to blame because I don’t buy books any more), but the ones that remain are gems!